This week on the show we welcome special guest Jon Marr, creator and head wizard at Purple Sorcerer Games. 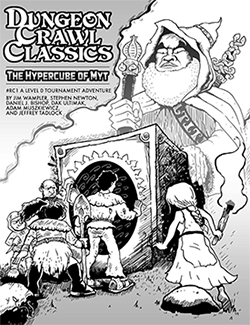 We’ll be asking Jon about some of the best third-party DCC RPG adventures ever published, his uber-useful family of online tools and mobile apps, and some top-secret forthcoming products. Also! We have a Spellburn Free RPG Day Special Report with Adam Muskiewicz! Who says this isn’t The Spellburn Age of Spine-Tingling Interviews? Thanks for having me Spellburn crew! You couldn’t have been kinder, and it’s a such a privilege to be on a show I respect so much. Believe me, it was our pleasure. Another fantastic episode. Can’t wait to see what else Jon has in store for us. Or the next Metal Gods! I told myself that I wouldn’t do this, but here goes: Please, Js, can we have some more? Have you met the minimum requirements of the ritual sacrifices this month, Brother Bishop? Heh – heh! It should be soon!